When your baby cries, a plethora of suggestions from many “professionals” – grandparents, uncles, aunts, and friends claiming baby is hungry, tired, needs a diaper change are pointed in our direction. In this situation many parents find themselves frustrated because they often feel they don’t understand their own baby. After all, starting with the first crying after birth, your baby communicates with you, and over time you need to learn to know their body language in order to understand their needs and wants. This is exactly why we’ve collected the 12 body gestures common to many babies, which you should know, as well as instructions on how to respond to them. Remember that there is no substitute for consulting a pediatrician regarding your parental concerns, but the advice before you can be very effective for day to day interactions. Everyone knows that this movement is very common among many babies, and in fact is the first sign that your baby is trying to communicate with you. What does it mean? – If you see your baby doing this, it means that they are very excited and happy. The excitement can be due to seeing you or something intriguing catching their eye such as the flow of water, their favorite toy, or even a plate of food if they are hungry. How should you react? – Your baby’s kicking in the air only helps them develop and strengthen their leg muscles so that they can crawl in the future. Therefore, encourage them to continue kicking their feet in the air by bringing them closer and showing them objects and things that may excite them. It is quite rare for babies to look away from their parents, as many babies enjoy watching their loving parents, however they may do so while you’re trying to feed or talk to them. What does it mean? – This situation can be interpreted in two ways: one is that the baby may simply be trying to process what is happening in their environment, the other is that they may be angry at you for invading their private space. How should you react? – All you have to do is just let your baby look away for a while – let them explore, they may just have seen their reflection in the mirror or the window or something might have caught their eye. Don’t worry dear parents, because once they’ve finished exploring their surroundings, their gaze will be redirected toward the most important thing in their lives – you. What does it mean? – If a baby arches their back while being fed, it might mean that they’re done eating. In some cases, it may indicate that the baby is suffering from abdominal pain, indigestion, or heartburn. Another reason for some babies to arch their backs is their mood: they might be angry, tired or irritable. In rarer cases, the reason infants may arch their back may be due to the development of autism, eating disorders, or even jaundice – brain injury. How should you react? – You should try to soothe baby by tapping their back and drawing their attention to other things that might interest them, or even leaving the space you’re in with them. 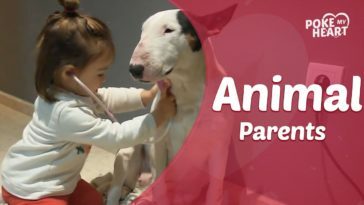 In addition, you can stroke or pat their back gently, but if he/she starts to cry and doesn’t stop, you should consult a pediatrician. There isn’t a person who doesn’t get exciting overseeing their baby’s first movements, and if your baby stretches out their hands and fingers, that’s a good sign. What does it mean? – If you see your baby doing this movement, it’s a sign that they are in happy spirits. In addition, such body language gestures can also indicate that your baby is in the process of being able to sit down and is trying to steady themselves enough to be able to sit up straight. How should you react? – All you have to do is just enjoy the moment and take advantage of baby’s good mood to venture out into the world with them. If you recognize that your baby is trying to sit and stretches out their hands and fingers to balance themselves, hold out your hand and help them sit, and of course do not forget to surround him with soft cushions so that if he loses balance, he will not get a hit. Babies usually wring their hands while crying and screaming, but they sometimes also do so even when they’re relaxed. What does it mean? – In most cases, when a baby clenches their hands tightly while crying, or even when calm, it can be a sign of hunger. How should you react? – Of course, given the common reason mentioned above, if you see your baby clenching their hands, your immediate and self-evident response should be feeding them. By doing this, you will calm your baby, and you will be able to establish a connection between the both of you – because doing so will show baby that you are beginning to understand his/her signals. What does it mean? – If you’re sitting down with baby and see them being their knees toward their tummies, it is a sign that they are experiencing some sort of digestive problems such as stomach discomfort, constipation or gas. How should you react? – In this case, all you have to do is try to make it easier for your baby by gently patting their back and helping them burp. Dear Mothers – If you’re still nursing your baby, it is important that you avoid eating fatty and spicy foods that may cause your baby gas, heartburn or constipation; if your baby still experiences stomach discomfort after changing your diet you should consult a pediatrician. Your sitting in the living room with baby lying next to you and you suddenly notice he/she grabbing their ears – which seems simple and meaningless to us, but can actually indicate that they are beginning to explore their body or that they are experiencing discomfort. What does it mean? – Apart from exploring their bodies, if your baby is holding his/her ears, it can be a sign of discomfort – a direct result of having an ear infection or alternatively, teething. How should you react? – If you recognize that your baby is their ears (when and they’re for sure not teething or exploring) you should definitely get them checked by an ear, nose and throat doctor. We’ve all witnessed our babies rubbing their eyes, whether before crying or after a great big yawn. What does it mean? – In most cases, if your baby rubs their eyes it simply means that they are tired and want to sleep. How should you react? – As a direct response to the common cause mentioned above, all you have to do is pick your baby up and hold them close – you’ll be surprised how fast they fall asleep. If your baby cries and rubs his/her eyes you can try singing them a song to calm them down; if you see that baby isn’t tired, he/she may have an eye infection and it is best to consult a pediatrician as soon as you can. Many babies – especially boys – have a tendency to bang their heads on the walls or even on the floors, so you have nothing to be worried about. What does it mean? 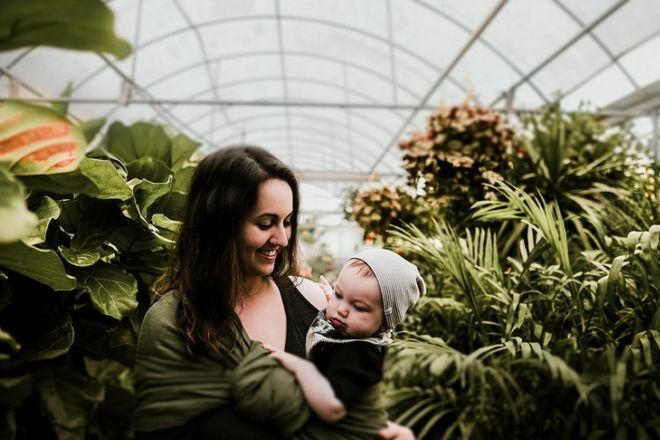 – True, we agree that it may seem very scary and many parents are troubled as a result, but there is, in fact, nothing to fear as some babies use this behavior to self-calm. In extreme cases, this may indicate that your baby is suffering from pain in the head area. How should you react? 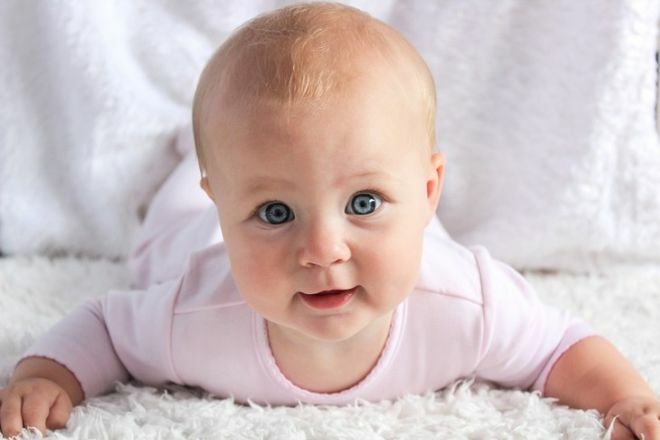 – If your baby bangs his/her head, first make sure they don’t do it against a wall in the house; if they usually bang their head in specific places around the house try to cushion those areas with a towel or pillow. In addition, if it bothers you very much you can try to divert their attention by singing, acting silly or reading the story, in addition to consulting with a pediatrician about it. Have you ever noticed baby jump in panic before? This is a common phenomenon among infants under the age of six months, especially during sleep. What does it mean? – Like our older children, babies are also frightened from time to time, however, with them, it usually happens during sleep due to something preventing them from sleeping comfortably. How should you react? – Try to block background noises that may alarm your baby by playing nice music or turning on the TV. Just like how adults get overexcited and breathless as a result, babies also kick their feet and breathe quickly as a result of excessive excitement. What does it mean? – As we’ve noted, this means that your baby is happy and excited about something – whether it is something they are seeing or something they’ve just learned to do! How should you react? – When you see your baby kicking and breathing quickly, baby talk to them. In addition, play with baby and respond to his/her excitement with the same excitement that they feel, showing them that you are taking part in their moment. Finger sucking is the most prevalent behavior among babies. What does it mean? – Often this may indicate hunger, but if not, it can indicate that they are trying to calm themselves down for sleep. How should you react? 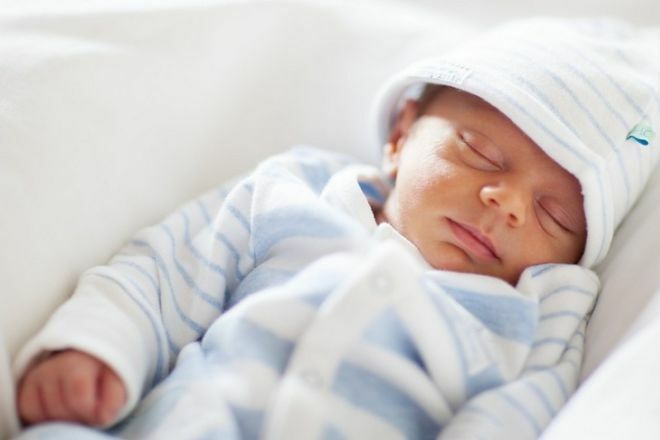 – First, check whether baby needs to be fed if not, all you have to do is lull your baby to sleep.